Ascending Butterfly: Saturday, July 18, 2009 - Today's Words of Inspiration AND Three super giveaways! Saturday, July 18, 2009 - Today's Words of Inspiration AND Three super giveaways! Sorry for the shorter than usual post, but my lovely time outdoors resulted in a nasty mosquito bite! So the Benadryl I have to take to feel better, is definitely making me a drowsy butterfly! Not to mention, it's hard to type with a swollen arm! Use 'Today's Words of Inspiration' as a breathing meditation to still your mind, quiet your thoughts and bring in positive energy. As you inhale bring in only positive energy by saying in your mind, I breathe in positive energy (or you can say creative energy if that is what you wish to create more of, say creative if you are experiencing writers block) and as you exhale, Affirm out loud today 'I am letting the sunshine in, in every area of my life'. Let these words put you in a mindset of freedom, joy and relaxation. Remember, no work today! NOTE: My busy schedule is YOUR GAIN! I will have limited access to emails this weekend, I didn't want this to interfere with everyone being able to get their entries in for this fabulous shapewear, so to be fair to everyone, I'm extending the deadline for this giveaway! You now have until Sunday, July 19, 2009 - 11:59 pm EST to get your entries in. The winners will be notified on Monday, July 20, 2009 and will have two days to respond. Make sure your winning notice doesn't get inadvertently sent to your junk mail! The subject line will read "Congratulations! 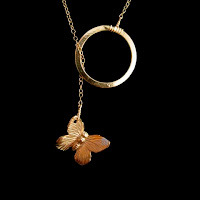 You have been selected as Ascending Butterfly's Tres Sleek Giveaway Winner!". Once BOTH winners have confirmed, their (user) names will be posted on BOTH the homepage and the contest page.